Well, I finished my zippy pouch and packed it with a box of chocolates from our local candy store, Cranberry Sweets (which has been featured on Rachael Ray), added a note, and a headband chosen by P and sent it off to Australia. I wrapped the chocolates in a plastic bag because I had been reading about some very hot weather that Australia has been having and I was concerned the chocolates would melt into a big mess. 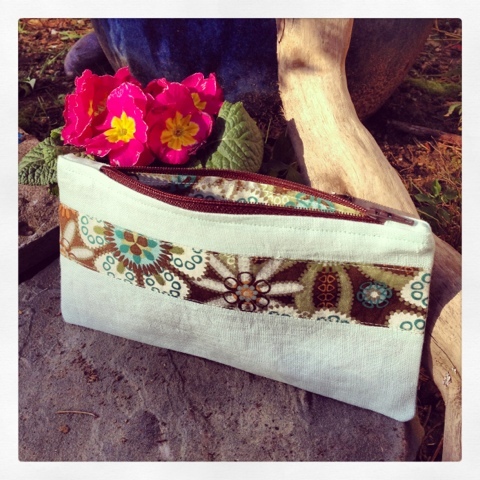 I have been enjoying the photos on the Flickr pool sweet pouch swap group. Some very gorgeous and creative pouches being stuffed and shipped all over the world. It is worth a look and also some photos #sweetpouchswap on Instagram.